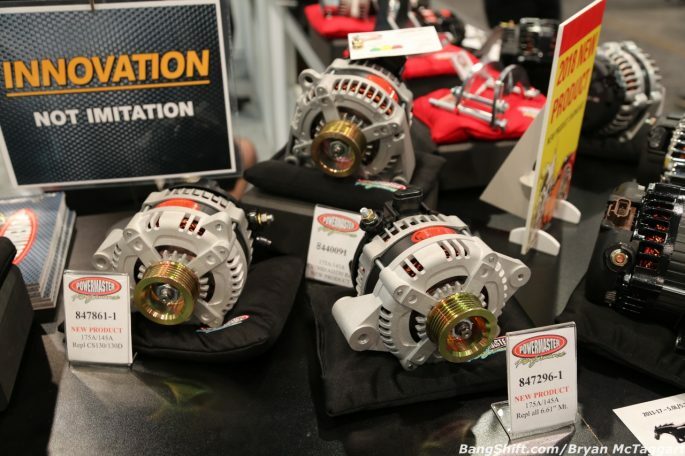 SEMA 2018: Powermaster Is More Prepared Than Ever To Take Care Of Your Electrical Needs! 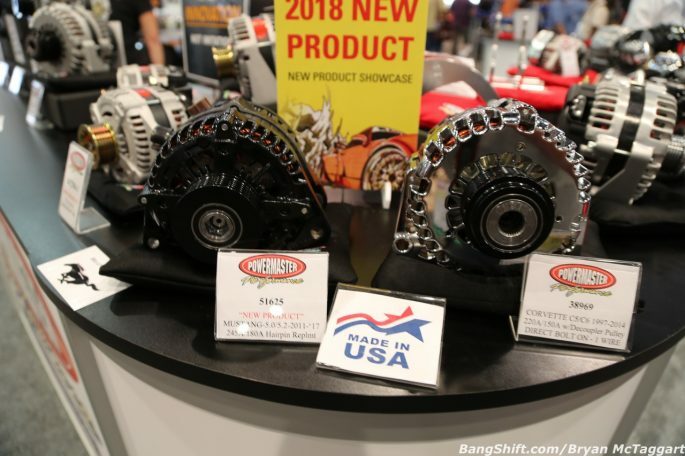 Nov 06, 2018Bryan McTaggartBangShift News, Sponsor NewsComments Off on SEMA 2018: Powermaster Is More Prepared Than Ever To Take Care Of Your Electrical Needs! 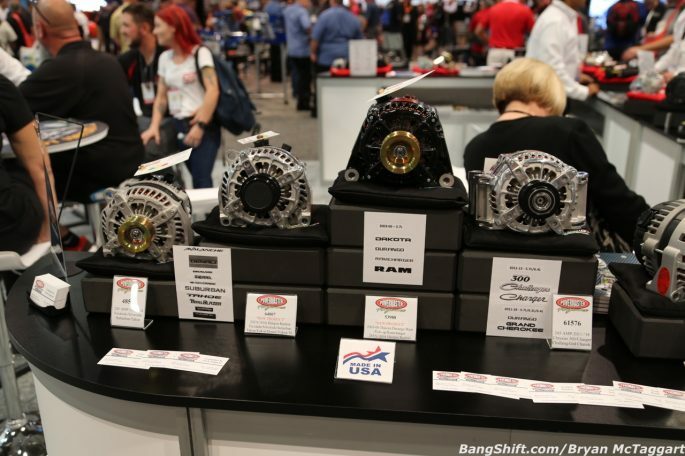 When it comes to an engine build, it’s easy to go nuts with the rotating assembly, fuel delivery system and even the methods of forced induction that you’d love to play with, but what about the basics? 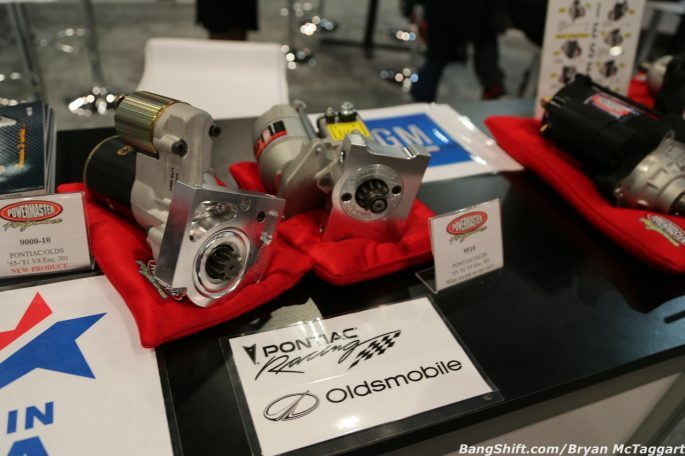 What is going to crank that bad boy over? 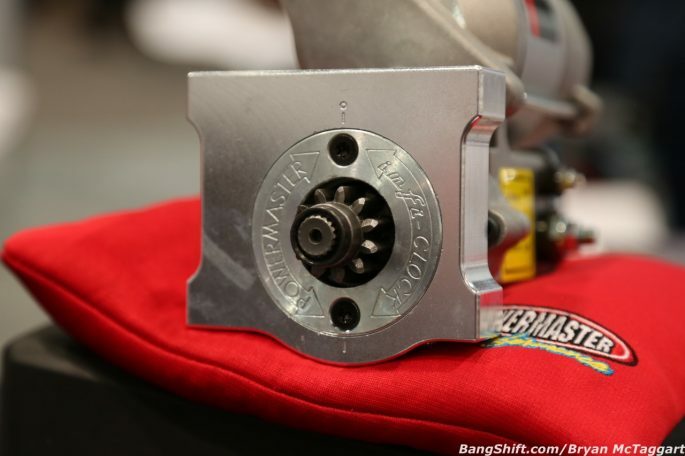 Will the starter be able to push past that compression ratio that you’ve got in your head? 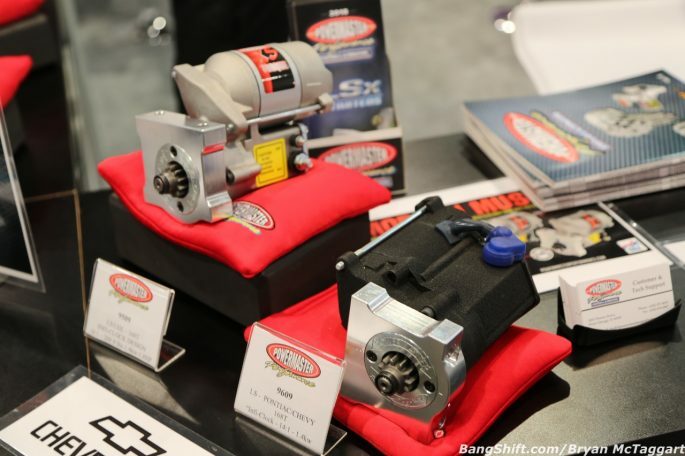 And what will keep the battery happy and fed, not only at RPM but when you’re just rolling around or cruising a little bit? Have you given that any kind of thought? The folks at Powermaster do on a constant basis! 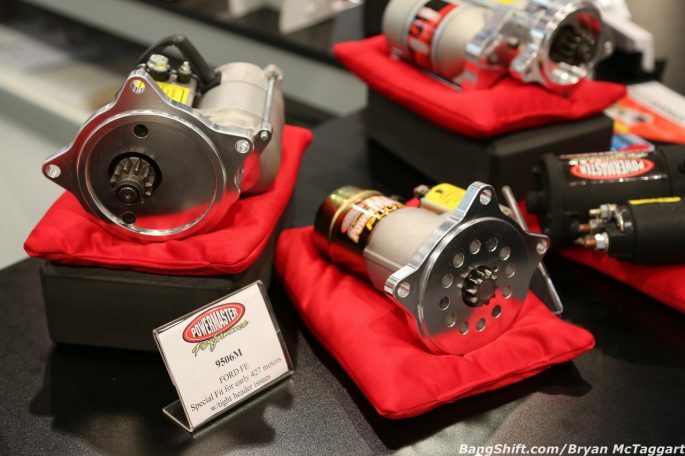 Starters and alternators are their bread and butter and they’ve been plugging away at bringing new SKUs out for many different applications that customers ask for. 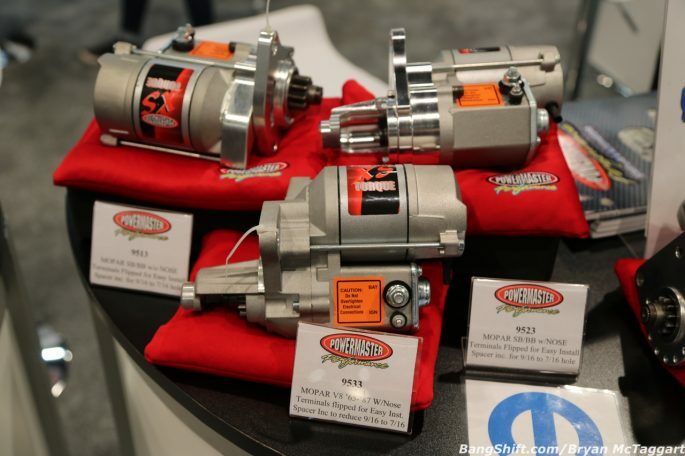 You might not need the starter that Danny Thompson used to fire off the Challenger II land-speed racer, but maybe you need something to crank that Olds 455 to life over and over without worrying about how long this starter will last, or maybe that OEM alternator in your Coyote-powered Mustang has started to howl and it’s time to look at a replacement, and maybe an upgrade while you are at it. 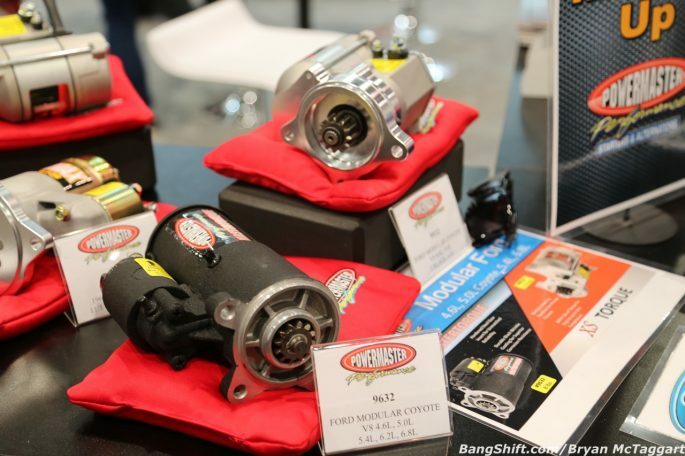 At the SEMA 2018 show, Powermaster had a few new items to showcase that enthusiasts might be interested in, including starters for AMC/Jeep that covered both the 258ci and 4.0L inline-6 and V8s and a new line of “hairpin replacement” alternators that covers GM trucks and SUVs, Mopar trucks and Hemi-powered cars, and 2011-17 Ford Mustangs. 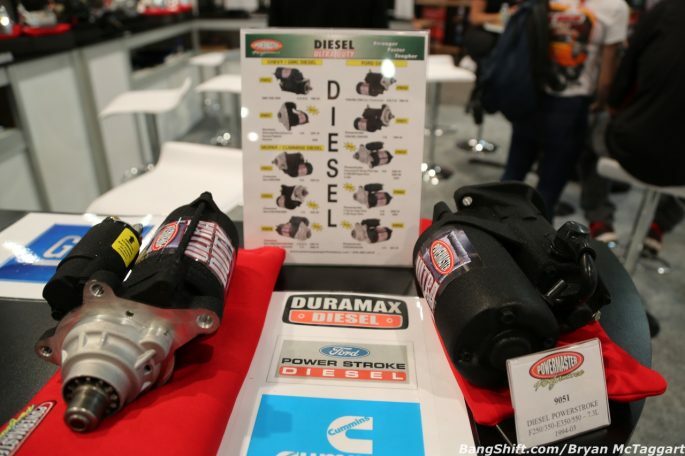 In addition, there are now ten different SKUs for diesel applications that cover the Duramax, Cummins and PowerStroke applications and plenty of options for aesthetics. 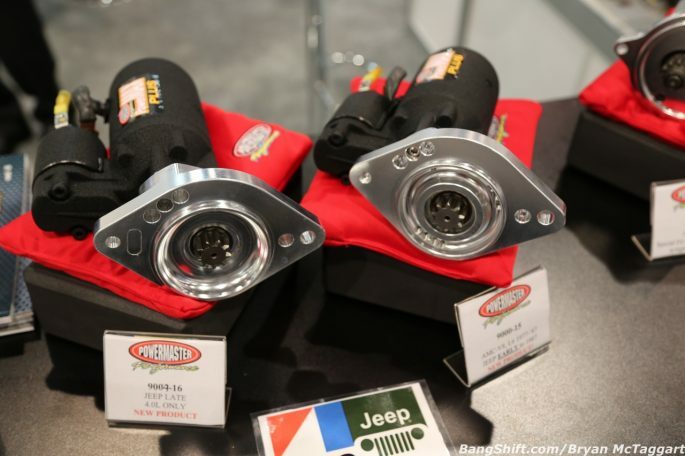 Do you want a black wrinkle finish on the starter for your 6.7L Cummins, or a black-chrome alternator for your LS build? 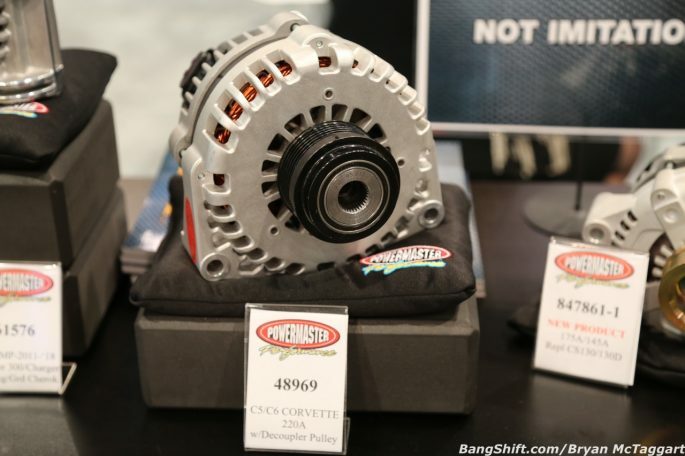 Powermaster can handle just about anything your heart desires!